Cookies are small text files that are placed on your computer by websites that you visit. They are widely used to make websites work from a technical perspective; function more efficiently; as well as to provide information to the owners of the website. The table below explains the cookies we use and why. 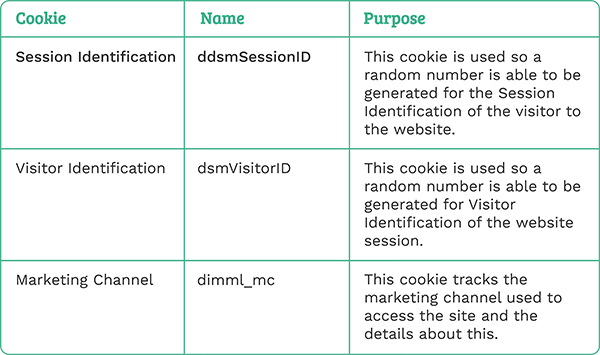 Note however that we do NOT collect ‘personal data’ through the use of our cookies. We are planning to enhance our cookie solution to allow users to more easily change their cookie settings after their initial choice. The changes will be directly available through the website. When these changes are made, we will update this document accordingly.